As we approach the end of August and the time that Apple typically sends out invitations for its annual iPhone reveal event, a new report by Mac4Ever [Google Translate] has pegged this year's iPhone 8, iPhone 7s, and iPhone 7s Plus event date as Tuesday, September 12. The site then predicted the three new iPhone models will go on sale a week and a half later, on Friday, September 22. The weekdays match a pattern that Apple historically follows each year, setting an event on a Tuesday or Wednesday, and then actually launching the new iPhone a few weeks later, on a Friday. Mac4Ever's prediction is sourced by information gained from a few French telephone carriers, but at this point any general event date guess on a Tuesday or Wednesday in early September could end up as the winning date chosen by Apple, so continue to take these event rumors with a grain of salt. Apple's financial quarter ends Saturday, September 30, so it's likely that the company intends to have its iPhone 8 event early in September, followed by the launch a week or so later. This would provide enough leeway between the launch and the end of the quarter to account for a boost in iPhone sales figures. For this reason, in the first week of September, Wednesday, September 6 is an option for the event, although Tuesday, September 5 is less likely due to its close proximity to Labor Day the day prior, which would likely require press to travel on the holiday. If Apple held an event on September 6, the iPhones could potentially launch Friday, September 15. The second week of September includes Mac4Ever's predicted date of September 12, and Wednesday, September 13 could also potentially be a possibility for the event. Either of these dates suggest an iPhone debut on Friday, September 22. 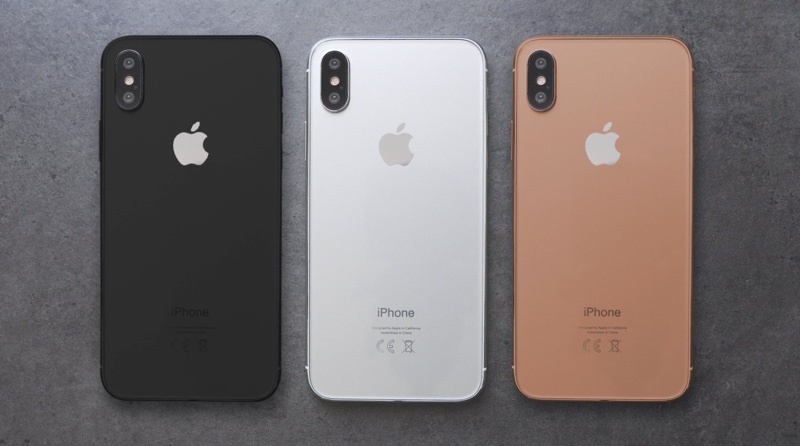 Looking back at the past few years of iPhone launches, the previously mentioned dates are most likely when users can expect Apple to announce and release the iPhone 8, iPhone 7s, and iPhone 7s Plus. The September iPhone event is also rumored to see the unveiling of a 4K Apple TV and potentially the Apple Watch Series 3, although when those products would launch is unclear. The same event will also see Apple delve deeper into new features surrounding iOS 11, macOS High Sierra, watchOS 4, and tvOS 11. TouchID better be present on this phone. It could easily be placed into the Apple logo on the back. Oh, and USB-C. Catch up with the times, Apple! Lightning is sucky proprietary crap. Already sold out until 2018. It will not have usb-c it will have lightning. It will not have touch ID it will have facial recognition. Get your money together. Check your login to the Apple store. Verify you are caught up on Next payments. Its almost time. Can't wait to place my order online at 2am(Chicago) the moment preorders go live and get an estimated delivery date of Dec. 20th. Call me a pessimist, but I am mentally preparing myself for bitter, bitter disappointment. And even more. The only thing potentially disappointing would be the price and availability. "Wake me up when September ends".